On the first day of competition of the Leon Lurje Trophy 2017, competitions under categories of Debutants, Advanced Novices, Juniors, and Seniors were held. 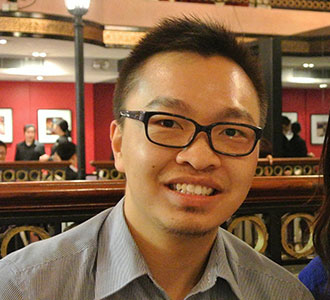 Discover a recap of the first competition day with our correspondent. After a brief opening ceremony, the competition started. 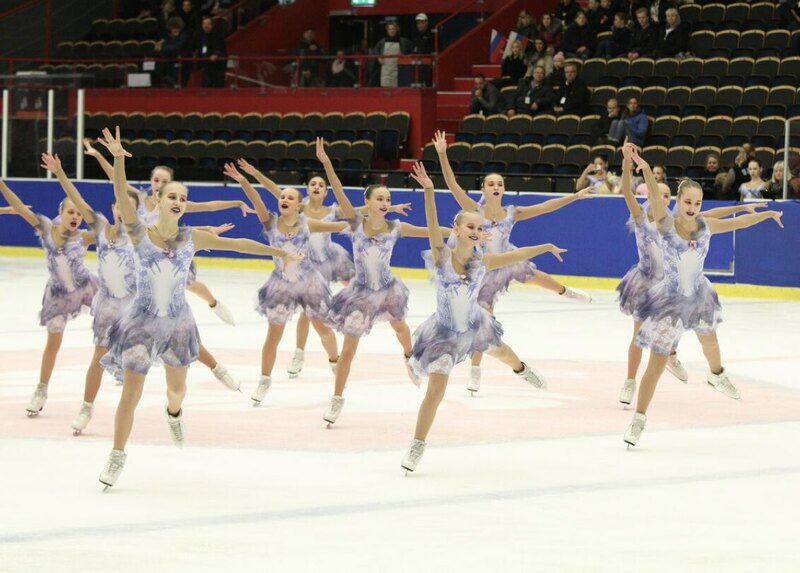 First, it was the Beginners category and six Swedish teams competed against each other with their Free Program. The Champion Team Happiness skated to a circus theme and secured their first place with 32,99 points. Runner-up Team Fantazy skated a clean energetic program of Zootopia music with no fall, earning them 25,24 points. The third place went to Team Divine who dressed in Union Jack skating to Spice Girls’ music with a total score of 21.8 marks. Team Sidera was very close with a score of 21,68. Team Seastar and Team Crystal earned respectively 19,89 and 18,53 marks, ranking them in the fifth and sixth place respectively. For the Advanced Novice category, eight teams fought against each other on day 1 of free skating. Russian Team Sunrise 2 delivered an excellent program which helped them to score 61,62 at the first place. Their choreography was also interesting and full of surprises. The Finnish Team Starlights followed with a score of 55,90. Swedish Team Karisma ranked third as they skated a clean program with no fall, scoring 46,49. Finnish team Dream Steps followed closely with a score of 45.64. In the fifth place is Team Together (Sweden), ahead of Swedish Team Seaflowers. Another Swedish team, Team Limelight followed closely with 34,53 points putting them at the seventh position. Another Swedish team Team Harmony scored 29.13. Before the competitions for Junior and Senior categories were held, a special <<Leon Lurje Trophy 10 Year Anniversary Show>> has been delivered to the amusement of the spectators. A team of skaters dressed in a variety of meticulously-decorated outfit skated the “Nutcracker” program. The program ended with a spectacular fire dancing (on the ice of course!) 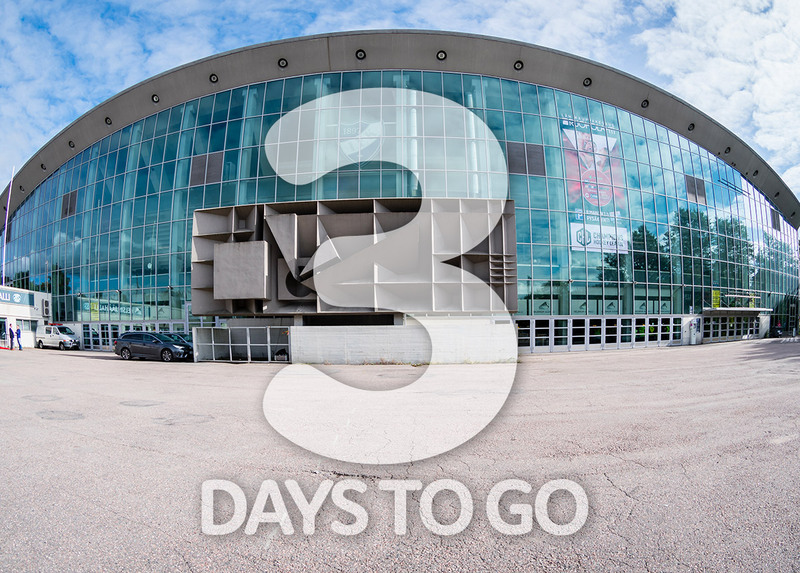 which captured every person’s attention in the arena and left them in great awe. In the Junior category, a large group of 10 teams competed their Short Program to secure top spots. Leading the rest is Russian Team Sunrise 1 which scored 58,02. Their circle and no-hold elements were both called at level 4. 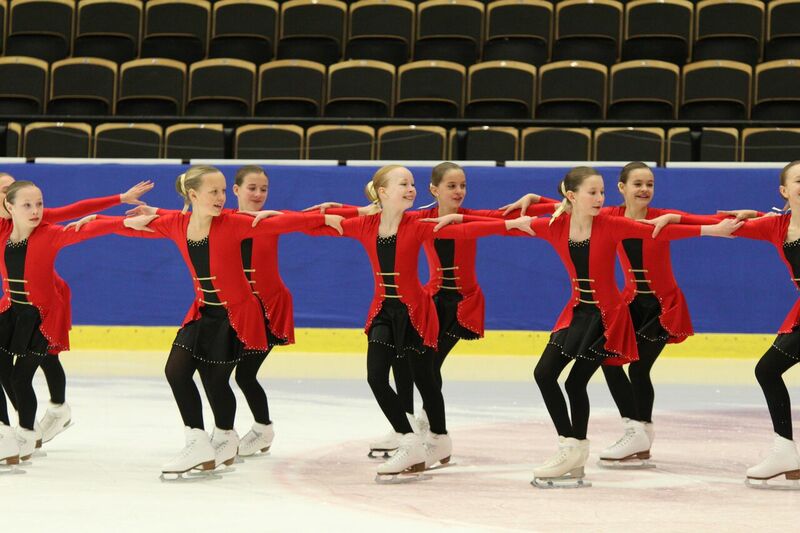 Canadian Team Les Supremes Junior skated to the music of “Seven Nation Army” and landed in the second place with a score of 55,88. Their program components score was the highest among all Junior teams. Let us see if that edge will continue in their Free Skating. 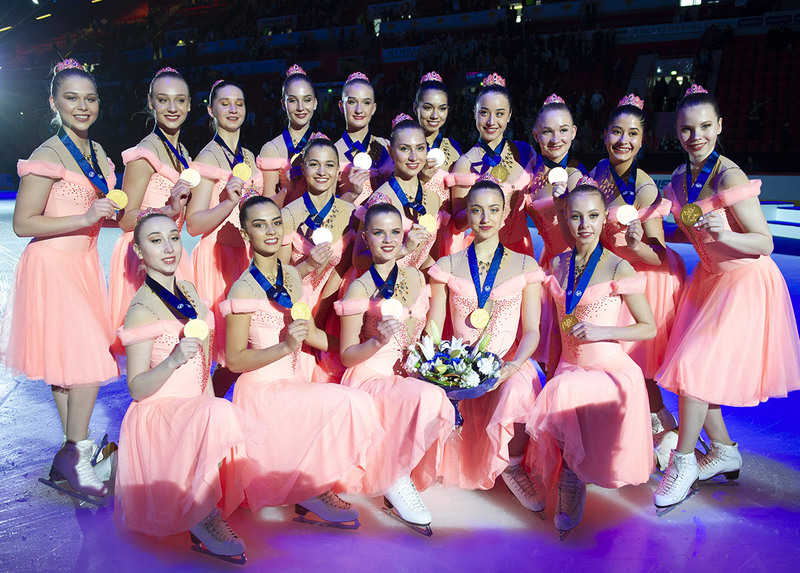 In the third place is also a Canadian team, Les Pirouettes which scored 48,96 points. Followed closely was the Finnish team Sun City Swing who skated to Haka music with fierce facial expression, earning them 48,23 points in the fourth place. Enthusiastic spectators were very much turned on by the Hockettes from the USA who scored 43,64 points. Finnish Team Ice Steps, Swedish Team Spirit, and Team Convivium followed respectively in the sixth to eighth positions with small differences in points (42,40, 42,19 and 41,92 respectively). Swedish Team Nova and Team Moonlights earned respectively 32,15 and 30,88 in their Short Program. Seven Senior teams participated in the Trophy. Finnish Rockettes once again delivered a clean Short Program of “Mirror Mirror”, leading the rest with a score of 69,26 points. In the second place was USA Haydenettes who scored 67,02 points which was an improvement to their Cup of Berlin 2017 result (63,30). Canadian Les Supremes Senior presented “Knock on Wood” but suffered a fall in the Intersection element, placing them in the third place with a score of 59,37 points. 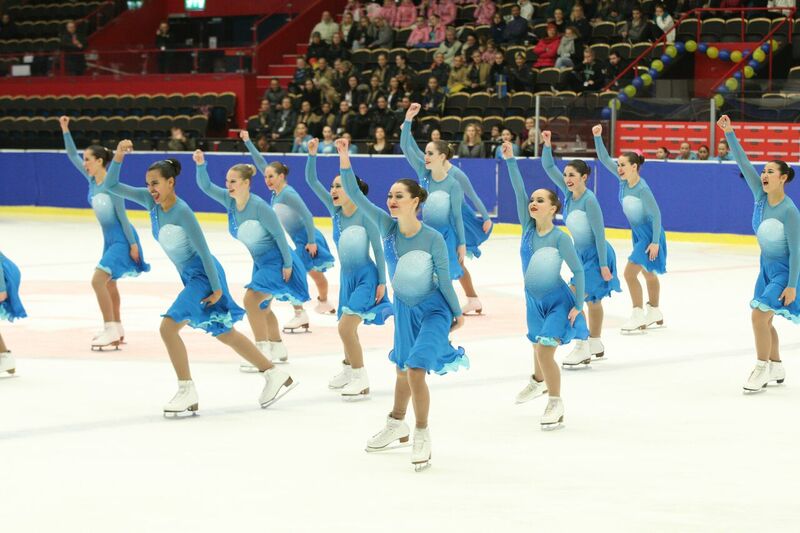 The only Swedish Senior team Team Boomerang delivered with full emotion their “Shadow of a Lost Soul” Short Program and was awarded 43,18 points. This was followed closely by USA Adrian College Varsity SST who earned 43,03 points in the fifth place with their Short Program “Rise” by David Guetta. Spectators were enthusiastic with Turkish Team Vizyon as the audience clapped along with the Short Program of “Burnin’ Up” which scored 27,67. British Team Wight Jewels skated to Indian music “Nagada Sang Dhol” and scored 23,95 points. We look forward to the second day of competition and see teams continue their endeavors for the top spots.